San Francisco, Calif., June 4, 2018 — SweetRush will team up with Hilton on stage to share their experiences during a VR Presentation at Realities 360. “Virtual Reality: A Real-World Hilton + SweetRush Project Case Study” will be presented on June 26 at The Fairmont Hotel in San Jose. Learning and development (L&D) professionals will learn about both the opportunities and the challenges of VR when used in L&D. 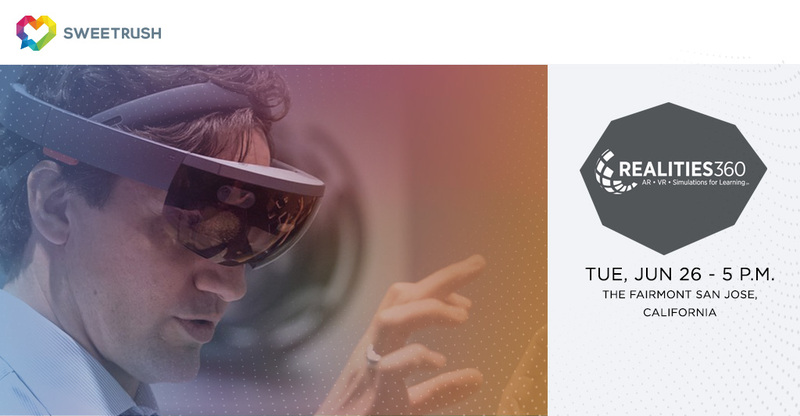 Blaire Bhojwani, Senior Director of Learning Innovation at Hilton, and John-Carlos Lozano, Chief Creative Officer at SweetRush, will walk attendees through their VR learning program case study, from concept to execution. They’ll share insights and lessons learned from this process, the types of business and learning challenges that are best suited for VR solutions, and how to get buy-in from senior leaders. Read more about the presentation on SweetRush’s website.